The vast amount of radioactive material is diffusing all over the world because of Fukushima No.1 nuclear power plant accident. Radioactive material can not be recognized by human five senses. You can not see, hear, smell, taste, or touch it. Therefore it is usually difficult to keep recognizing the danger of radioactive material. We have to make much effort using intelligence and imagination , so that we can avoid being cheated by the campaign such as “Let’s support Fukushima by eating”. Using computer simulation is one of the effective ways to keep recognizing radioactive material. Merits exist in computational fluid dynamics(=CFD) using super computers. Some are shown below. 1) Time and money can be reduced because experimental devices are unnecessary. 2) You can deal with the situation in which many measurement devices can not be set to collect data in wide area. 3) The condition of dangerous places such as no-entry zones can be estimated. Due to various reasons mentioned above, computer simulation has been developed rapidly in many fields. 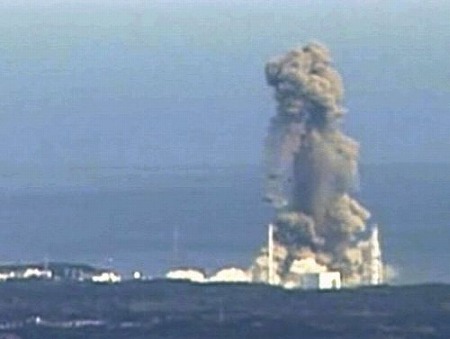 The vast amount of radioactive material is diffusing all over the world after Fukushima nuclear power plant accident. I would like to introduce a simulation video to confirm the diffusion situation. This video has been created by GEOMAR Helmholtz Centre for Ocean Research Kiel. You can understand how radioactive material was released and diffused into the Pacific Ocean. Check the YouTube video below. On the video screen, the number of days since the disaster is indicated at the upper left. The range of up to 10 years has been calculated on the simulation. Definitely Japan has CFD technology, but I’m not sure this is used to analyse radioactive contamination. Even if the CFD result exists, it will not be released. That must be concealed for the nuclear power interests. Anyway, it is important to continue to have the recognition that the fatal accident and contamination has been occurred. It is Japan that is damaging the whole world. We have to face the truth in order to lead to the right decision and action.